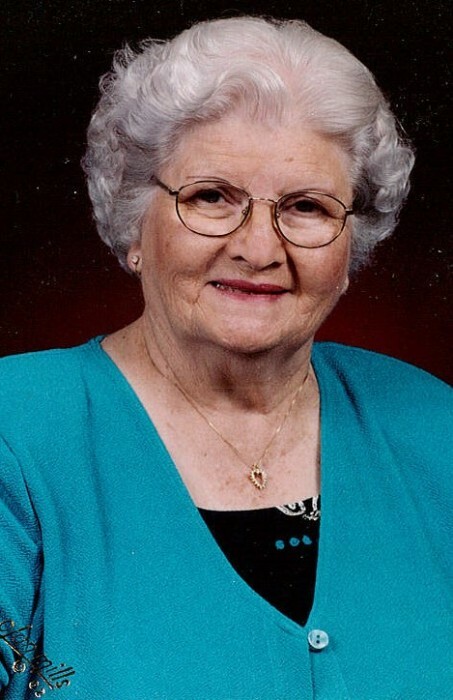 Lorine Mildred Garrett Davis , age 94, of Tumbling Shoals, Arkansas went to be with the Lord on Tuesday, June 19, 2018. She was born December 27, 1923 in Concord, Arkansas to the late John and Jamey Long Garrett. In addition to her parents Lorine was preceded in death by her husband of 72 Years, Paul Eugene Davis; by three sisters, Melverine Bundy, Pauline Summers and Christine Helms and a brother, Leonard Garrett. Lorine’s hobbies included yard work, gardening, taking care of flowers, sewing and cooking. Her family commented she loved preparing meals and was a great cook. She dearly loved spending time with her family. Lorine is survived by her three children, Anita Dewitt of Tumbling Shoals, Arkansas, Paulette Obirtz and husband Robert of Winchester, California and Ron Davis and wife Sharon of Cabot, Arkansas; Six Grandchildren, Jeff Dewitt of Tumbling Shoals, Arkansas, Tyler and Suming Brittain of Lake Elsinore, California, Jaymi and Mike Laing of Tuscany Hills, California, Brad and Latricia Davis of Cabot, Arkansas, Brook Davis,Ali and Lynn Hefley of Cabot, Arkansas; Eight Great Grandchildren, Chloe and Hayden Hefley, Sara and Jesse Brittain, Ariel and Evan Laing, Taylor and Garrett Davis; sibling, Jean and Ken Thurman of Amarillo, Texas and other relatives and many friends. Visitation will be held 1:00 to 2:00 pm, Friday, June 22, 2018 at First Assembly of God Church in Heber Springs. The funeral service will immediately follow the visitation at 2:00 pm with Pastor Lee Brown officiating. Interment will be in Concord Cemetery, Concord, Arkansas.